landmark, Author at Landmark Elevator, Inc.
Home elevator manufacturer, Cambridge Elevating, Inc.
We couldn’t be happier with our new vehicle wrap design! GS Images of Hagerstown, MD has turned out another excellent finished product for Landmark Elevator. Look for our service techs as they are traversing the quad-state area. 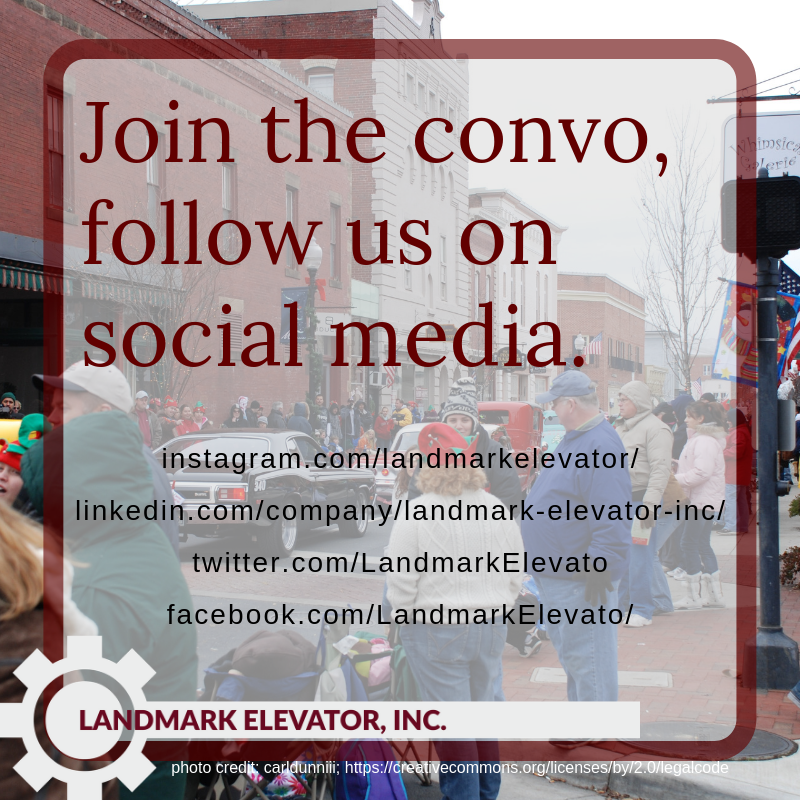 We at Landmark Elevator would like to thank each and every one of our valued customers, partners, and trusted employees for being part of our team. We hope that you enjoy a special holiday season, and many joys in the New Year!